The public spaces around Queens Courthouse have been improved but are not yet a gathering space. The courthouse used to be a cornerstone of the community, a source of local pride and the nexus of social life and ritual. But today, courthouses and the public spaces that surround them are often physically and programmatically disconnected from public life, even though they usually occupy central property in a community. Citizens don’t visit their courthouses unless compelled to do so, and very few serve as public destinations. The good news is that court properties have much potential for resurgence when there is positive leadership, open-minded management, and the desire for change. Courts have the opportunity and responsibility to serve as integral places, key parts of the communities in which they reside. Courts are, after all, the people’s houses of justice, and only by becoming engaging places can they live up to their potential. While early American courthouses often shared space with other public institutions (like the post office or the county clerk) and were heavily used, more recent court design has encouraged segregation and specialization of uses, so that citizens have little reason to enter the doors of court buildings. The design of court facilities has shifted from welcoming to foreboding, and from public to monumental. The resulting diminution of the courthouse’s community role is indicative of a larger trend: a widening disconnect between the judicial system and public life. While courts are busier than ever, trials are vanishing, and more cases are resolved by private settlement or in non-public forums. Through such privatization, court spaces are no longer truly civic, and don’t support community vitality. PPS's work with Portland's Pioneer Courthouse Square has included efforts to connect the courthouse to the Square. What is needed – and a real opportunity – is a fundamental reconsideration of how we think about and design court spaces. If courts find ways to recapture their relevance and resonance within communities, they could once again become civic destinations that engage with and respond to their users. Project for Public Spaces is committed to playing a key role in facilitating these discussions. 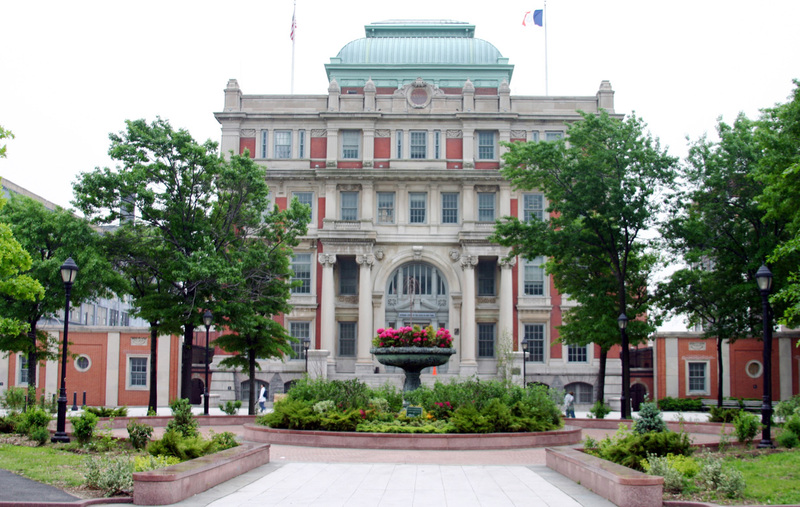 PPS has worked extensively to revitalize many types of civic centers, including courthouses, post offices, museums, libraries, and seats of government. Since 1999, PPS has partnered with the General Services Administration’s Good Neighbor Program in helping communities envision public spaces that will draw a variety of people, uses, and activities. PPS has worked in this capacity in almost two dozen cities. By Karen Levy with Fred Kent, President and Cynthia Nikitin, Civic Anchors Program Director for Project for Public Spaces, Inc. Karen Levy is an attorney and is currently pursuing a doctoral degree in sociology at Princeton University. Karen has been working with Project for Public Spaces as an Arthur Liman Public Interest Summer Fellow, a program sponsored by Yale Law School and Princeton’s Program in Law and Public Affairs.